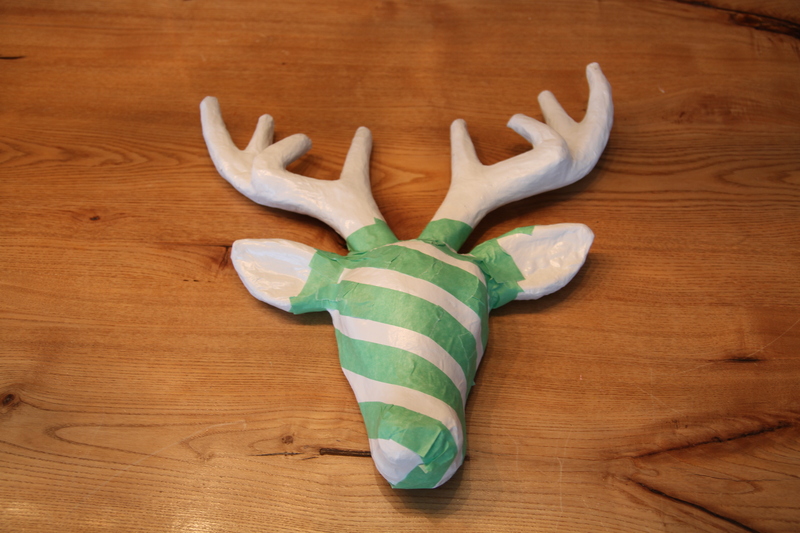 What better animal than a reindeer to represent Christmas? 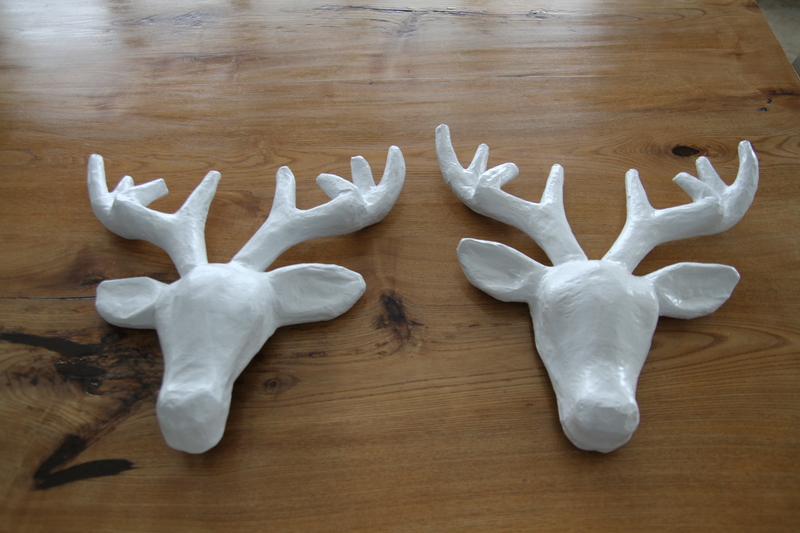 Customizing paper reindeer heads for your wall is the perfect project for anyone looking for a fun and pretty Christmas craft. This year I am attempting to coordinate most of my Christmas decor, using white, silver and gold. 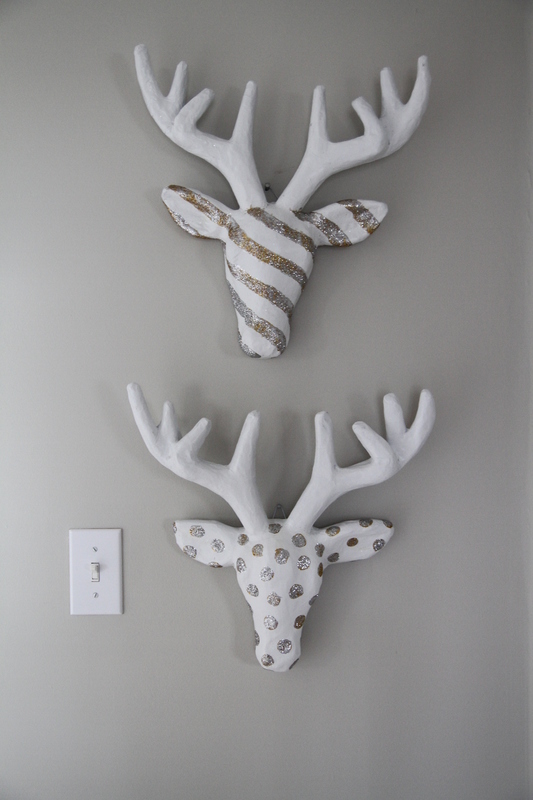 I played around with this project a bit, and ended up with two unique reindeer heads to hang on a blank wall that was begging for something Christmas! This craft cost me about $14. 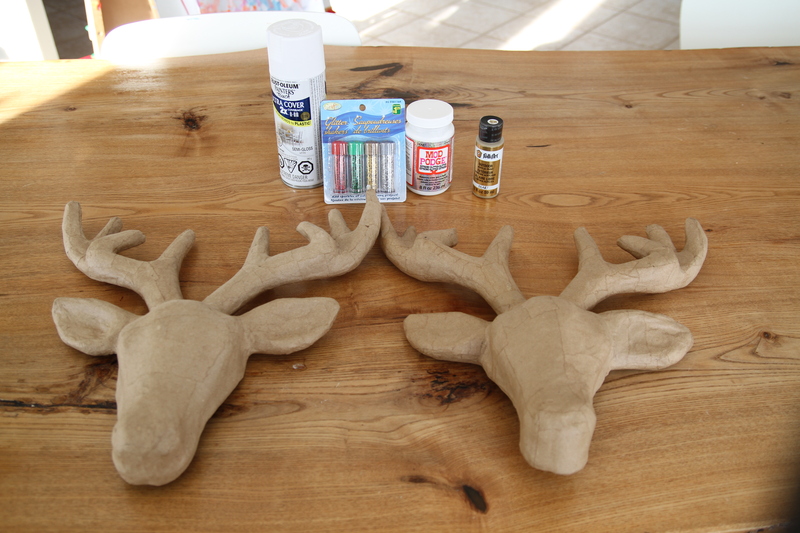 I used Michaels 40% off coupons for the reindeer heads, and had most of the other supplies on hand. 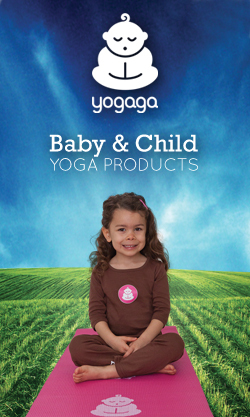 Step 2: Choose your designs. 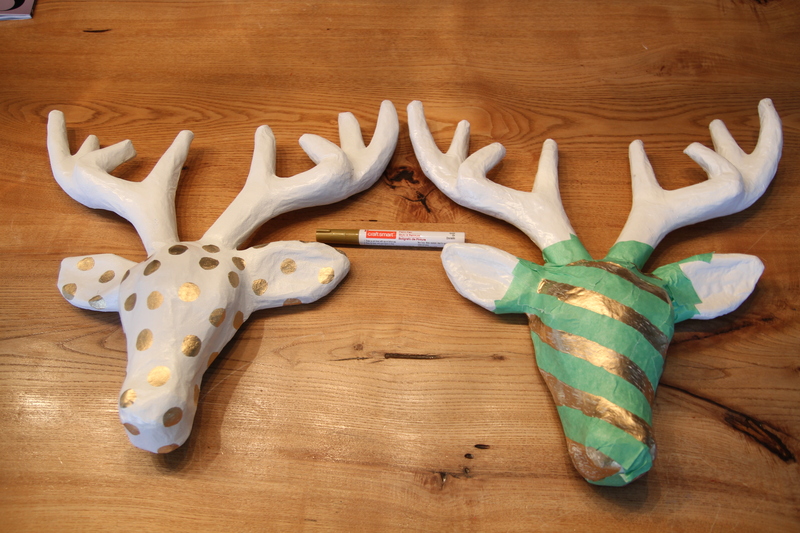 I decided to do one reindeer head with stripes and one with spots. To make the spots, I ended up using a gold Craftsmart Paint Pen that I already had. Originally I thought I would hand paint these on with acrylic paint, but ended up deciding this was too time consuming. The paint pen worked great and was super easy to use. For the stripes, I sectioned off diagonal stripes with painters tape (eye-balling each space to approximately 1 1/2″). The stripes were far from perfect, and the bumps and curves of the paper head made it hard to get straight lines, but I just went with it anyways. Once the tape was in place, I coloured in the white spaces with the gold paint pen. Step 3: Now for the glitter! I removed the green painters tape, and then used a small paint brush to put generous amounts of Mod Podge on every gold stripe and dot. Then I dumped tons of gold glitter over each spot and left to dry. My gold glitter ended up being WAY too gold, so I repeated the Mod Podge step and added silver glitter over top of each gold spot/stripe. This toned the gold down and I ended up with a neat gold/silver combo.